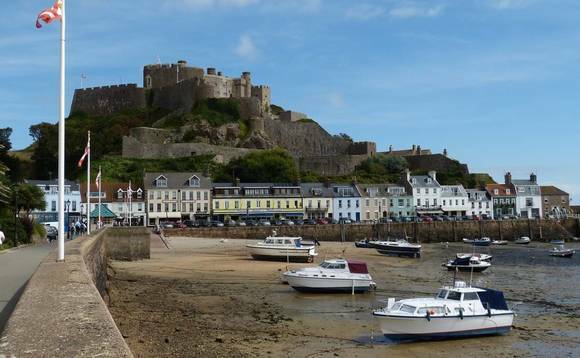 Jersey has urged the UK’s House of Lords to reject opposition amendments to the UK’s Criminal Finances Bill 2017, which would force British Crown Dependencies and Overseas Territories (CDOTs), to establish publicly accessible registers of company beneficial ownership by 2019. The bill is now passing through its final stages in parliament with a debate held in the Lords last Monday and a final debate planned for Tuesday 25 April, before it is passed back to the House of Commons. At the final debate, the controversial amendment, tabled in February by a group of 88 MPs, could force British Overseas Territories to make their company ownership registers public by 2019. The amendment – one of a series of changes that could affect the offshore financial world – also require Crown Dependencies to report on the progress that they had made toward that goal by the end of 2018. 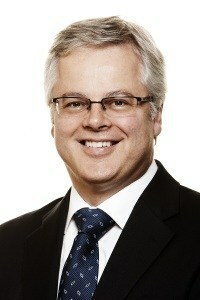 As part of a long-running campaign to restrict what it believes is unnecessarily harsh bureaucracy on the jurisdiction, Jersey Finance, the promotional arm of Jersey’s financial services industry, has published an open letter to the House of Lords, urging UK parliamentarians to act now to protect Jersey’s financial services reputation. Published on the Jersey Finance website, chief executive Geoff Cook, pictured left, said that although both amendments were withdrawn during the House of Lords debate last Monday, after Baroness Williams expressed opposition to forcing the CDOTs to adopt public registers, unless they become a ‘global standard’, he is aware that the matter has not been concluded. In his letter Cook points that information on the ultimate beneficial owners of every company registered in Jersey has been captured. However, that information has only ever been accessible to regulatory authorities, not to the public at large. “We have consistently argued that Jersey’s model is robust and reliable because of the way in which information is verified, and that opening the register to public scrutiny would not help combat financial crime,” said Cook. “We believe there is a high risk that persons seeking to use UK companies for criminal activity will not comply with the self-reporting mechanism that underpins the UK’s register of persons with significant control (PSC Register). As corporate service providers are not regulated in the UK, verification may occur only through public scrutiny of individual PSC Register entries. “Such an approach is sporadic at best, and those who intentionally provide incorrect information to conceal their interests will be confident of remaining undiscovered,” he said. Last week, Baroness Williams told the House of Lords that the best way to advance standards in the CDOTs was “through cooperation and consensus”, for both the CDOTs and other international standard-setters. She also noted that the UK government was opposed to adopting differing standards in the Overseas Territories and the Crown Dependencies and that the UK government should aim for them to move together, but only as, and when, a global standard had emerged. The bill also contains other measures that could be seen to be of importance to the offshore financial sector, including a new extra-territorial corporate criminal offence of failing to prevent the facilitation of tax evasion, much stronger money-laundering reporting requirements, and a new power for the UK authorities to issue ‘unexplained wealth orders’ requiring individuals to declare the source of their wealth – or risk forfeiting it. As reported, officials from the Cayman Islands joined Jersey in its lobbying to oppose plans for the UK to have a public register of beneficial ownership, including holding a series of special meetings with parliamentarians and government officials, that it organised in London in February as part the British Overseas Territories Brexit summit. At the time, Cayman premier Alden McLaughlin and other selected leaders of Britain’s Overseas Territories (BOTs) meet with UK officials to lobby against the controversial amendment and also to seek a clearer picture of the likely fallout from the UK’s planned exit from the European Union.